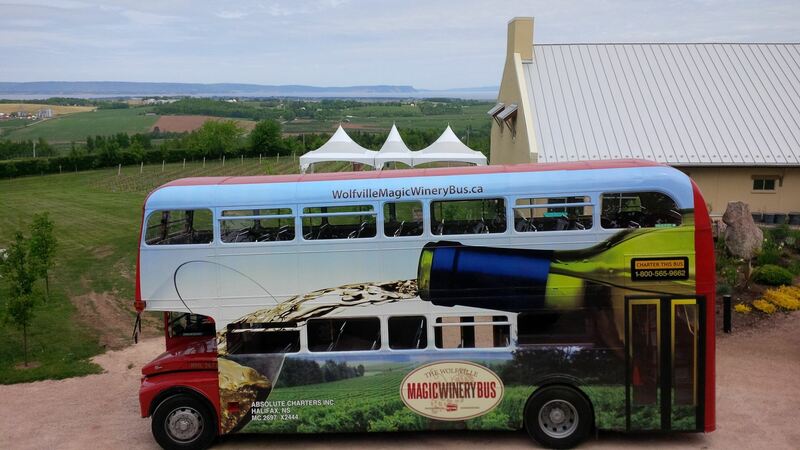 We will whisk you away for an incomparable day of tasteful adventure in the heart of Nova Scotia wine country. This North American one-of-a-kind excursion will visit two of the most storied and beautiful Nova Scotia wineries and share the story of Grand Pre, a UNESCO World Heritage Site. Experience first-hand the unique terroir that creates some of the most memorable wines in the world; learn about the region's history and rooted connection with food; and best of all, get a taste for why this region has a reputation as the centre of wine country in Atlantic Canada. Enjoy the comfort and amenities of a modern-day coach complete with an engaging, informative and entertaining guide with lots of special treats along the way. If you did not purchase this activity at registration, you can do so now! Off Highway 101 at Exit 10 and pass through the historic UNESCO community of Grand Pre where dykelands, originally cultivated by the Acadiens, were engineered to hold back the world’s highest tides to reveal the rich and fertile land. Share the agricultural heritage of the region and the importance of our first farmers who cultivated grapes here in 1611 – perhaps where the North American wine industry was born!